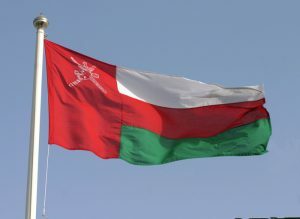 There are signs that Oman could be on the verge of preparing to sell some of its stakes but the undersecretary of the Finance ministry, Nasser al-Jashmi, downplayed the speculations. He explained that “we are transferring logistics-related assets, and the same applies to other sectors” in order to make their operations more efficient and to improve the management of the companies. The Finance Ministry has been transferring its stakes in listed and private companies to other state-owned corporates and sovereign funds thereby making it open to privatization. Jashmi declined to comment on the number of assets involved in the transfer plan but claimed that transferring them to specialized companies would help to manage them in a synchronized manner in correlation to industry strategies. Oman has more than 60 state-owned companies, while the government also holds stakes in many listed firms. Jashmi didn’t rule out their restructuring after the transfer. One of the major transfers undertaken earlier this month concerned the transfer of Salalah Port Services Co. to Oman Global Logistics Group, while Oman and Emirates Investment Holding Co. and Port Services Corporation was passed on the Oman Investment Fund. The country’s finances have been affected by the low oil prices. The government is trying to reduce the budget deficit and there are reports that it is planning to make another dollar-denominated bond issue. Oman made a bond issue of $2.5billion in June.